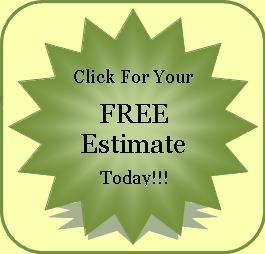 Do you have an upcoming home improvement project that you would like to receive a second opinion on? Are there repairs or renovations you would like to make to your home? Or do you simply have questions floating around about a possible home addition and remodeling project? Steve Way Builders, LLC is the remodeling specialist providing quality contracting for home improvement and remodeling in Lansing, MI and the surrounding areas. We can help with any home improvement project from kitchen and bathroom renovations, to roof, siding and window replacement. Founded in 1977, the local family owned business of Steve Way Builders, LLC is celebrating over 40 years of remodeling contractor experience in Lansing, MI in the home remodeling industry. Our licensed and insured contractors guarantee excellent craftsmanship for all of your desired home improvement needs. At Steve Way Builders, LLC, customer satisfaction is our highest priority. We will customize your addition and/or remodeling project exactly the way you want it while bringing quality experience and innovative ideas together to make your home a better place to live. Steve Way Builders, LLC - The Remodeling Specialist is an active member of the Greater Lansing Home Builders' Association (GLHBA) and have demonstated quality remodeling contractor services by displaying completed remodeling projects in the Greater Lansing Parade of Homes. View home profiles and remodeling pictures for these projects here! 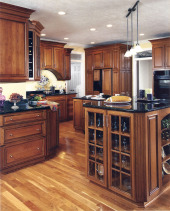 Call Steve Way Builders, LLC - The Remodeling Specialist today at 517-323-1187. If you have any remodeling questions or comments, please feel free to ask us! If you would like to schedule your free home remodeling estimate, fill out our easy online form to contact the Remodeling Specialist and make your home improvement dreams a reality today!